Lofoten Seaweed Body Soap - Lofoten Seaweed | From Lofoten, Weed Love. 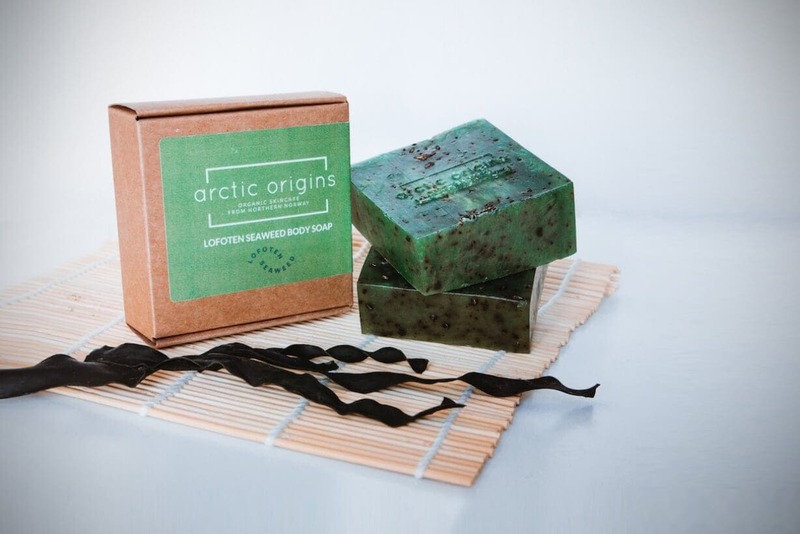 A unique hand-made soap made by Arctic Origins, based in Harstad. 100% organic, the trace elements and active components in this seaweed naturally stimulate the skin’s response to ageing and skin flaws, improving its appearance. Essential oil of Lemongrass gives a refreshing and energizing glow. Organic glycerin (from vegetable extracts), wild harvested ascophyllum nodosum (grisetang), essential oil of Lemongrass, natural mica powder colourant.